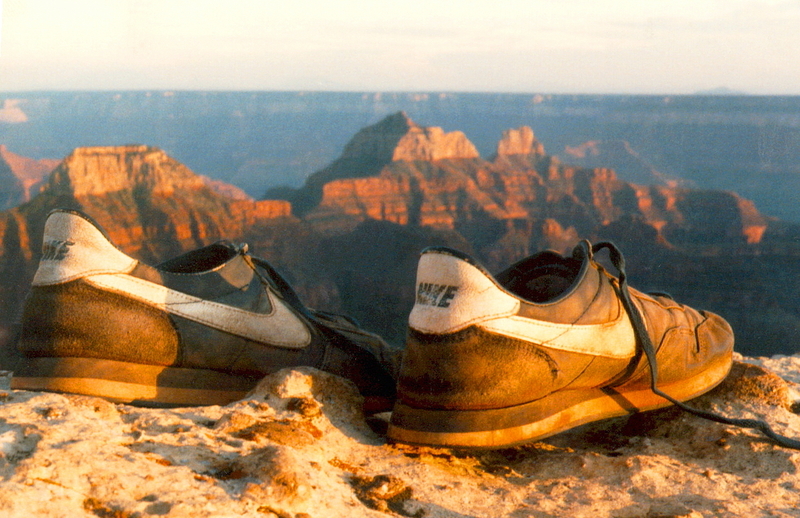 A luminous light, a photo by The Bacher Family on Flickr. Every year, Eatonville, Washington hosts one of the most successful Relay for Life events in the country. Hundreds of community members come out to walk and donate money in support of efforts to find a cure for cancer. 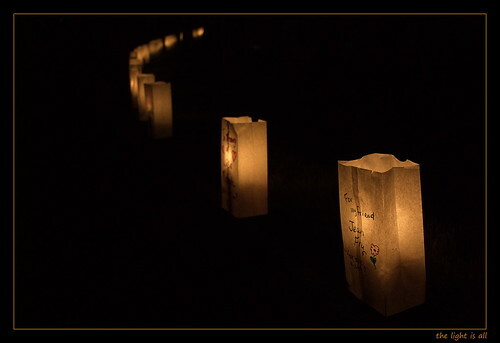 The highlight of the event, unquestionably, is the luminaria ceremony at dusk on the first night, when hundreds of paper bags inscribed with names and pictures are lit with candles around the track at Eatonville High School. This year, my wife, Kelli, came to the Relay for Life on the same day she attended the funeral of a friend who lost a brief and intense battle with cancer. 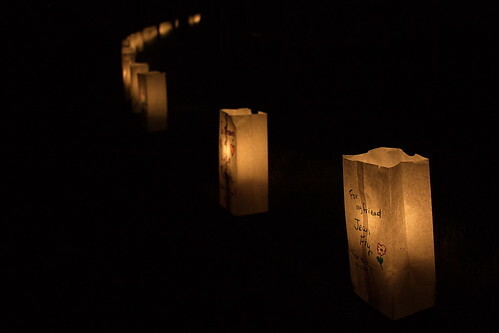 Relay for Life holds an even more profound meaning for us this year than usual, and her luminaria, and this photo, is dedicated in memory of our friend, Jean Fry.